Come in once a week or once a day. Either way, keep your new purchase sparkling clean. Every year you will receive your NYS inspection free of charge at any Sun location! If you live or work within 15 miles of any Sun dealership, we’ll pick up your car, service it, and drop it back off to your work or home. Service or repair work going to take a while? We’ll supply you with a loaner vehicle, or courtesy transportation, at no cost to you. Subject to availability. I came in last minuet before the store closed and the sales rep took great care of me. I was in and out and everything went great. I will be buying from them again. BEST CAR BUYING EXPERIENCE EVER! 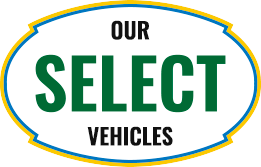 The prices don't fluctuate from website to lot.The sales people go above and beyond and they are very nice!I will reccomend them to anyone buying a car! Dustin was wonderful to work with, we will be back for our next car purchase! At Used Car King, we make it as easy and affordable as possible for you to purchase the vehicle of your dreams. That’s why we offer low prices and competitive financing on all our vehicles. Whether you have great credit, not so great credit, or no credit at all, we will help you secure a loan for that vehicle you want with monthly payments that fit your budget. In fact, get pre-approved right now by using our online finance application. all makes and models. From standard maintenance, like oil changes and tire rotations, to major automotive repairs and even bodywork, we have you covered. You’ll also have all your auto parts needs taken care of thanks to our large inventory of quality auto parts. 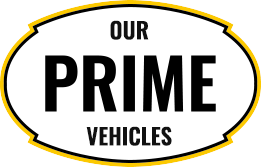 Check out our *reviews* and see why so many folks in Central New York consistently count on Used Car King for their pre-owned vehicle needs. Visit us today at any one of our locations in Cicero, Chittenango, or Cortland, and feel free to contact us with any questions.